Barker College students participating in the FIRST robotics competition earlier this year - FIRST is inspiring young people to pursue studies in science and engineering. Today Google.org announced a $1 million grant to deliver hands-on training and career programs that will reach underrepresented students through three Australian not-for-profit organisations striving to inspire Aussie kids in the fields on Science, Technology, Engineering and Mathematics (STEM). STEM is something that we’re passionate about at AARNet, given that we connect and provide services to universities, research organisations, schools, and other educational institutions. We remove barriers to research and education, and that’s exactly what the Google.org grants aim to do too by enabling more kids from all backgrounds to participate in three vital STEM-based programs. The Australian Indigenous Mentoring Experience (AIME), of whom AARNet is also a key partner, will use the funds to develop STEM content, targeting year 7 and 8 Indigenous students. Their goal is to help to make these subjects relevant for 4,000 students by 2018 through providing access to experiences they wouldn’t otherwise have. 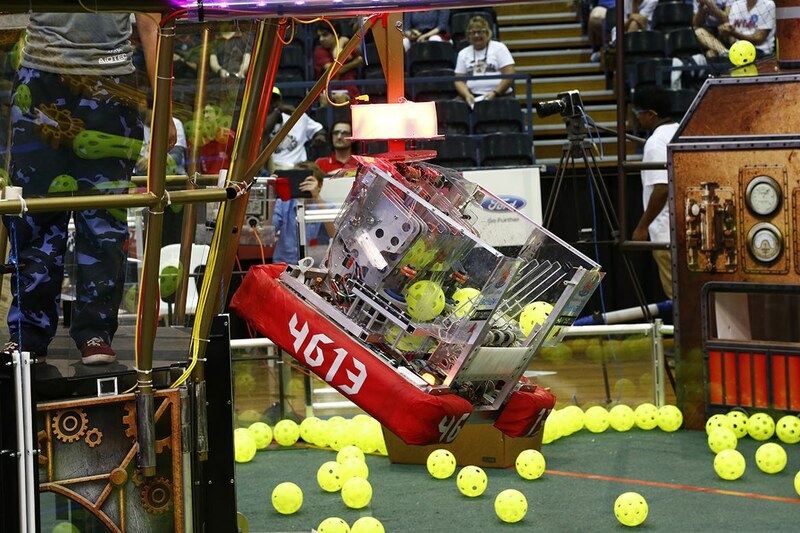 FIRST Robotics Australia, the organisation behind the FIRST (For Inspiration and Recognition of Science and Technology) robotics programs and competitions in Australia, is getting Australian kids from all backgrounds excited about robotics and the related fields of engineering and computer science. The great thing about the Google grant is that it will help students in low socio-economic areas and regional schools participate in the FIRST programs. AARNet is proud to also sponsor FIRST events, and to have AARNet staff participating in the programme as well as mentoring kids at some of AARNet’s connected schools that participate in FIRST. Another grant beneficiary, Engineers Without Borders Australia, is planning to grow their “Regioneering Roadshow”. This program connects young professional engineers with communities in regional Australia and takes STEM and computer science-based training to young people, in particular to young women, in these areas, where such training might not otherwise be available. We congratulate Google.org on their generosity and vision in supporting these exciting and important programs, all of which strive to make the world a better place by giving Aussie kids experiences in the world of Science, Technology, Engineering and Mathematics. AARNet is extremely proud to be supporting some of these programs too!